About 3 months ago I made a commitment to losing weight and living a healthier life. I have actually been doing much better than I had even thought I would. The reason I have been doing well is that I have been finding foods that are low in fat/calories, nutritious, and taste great. There are only 2 major obstacles when it comes to dieting: being hungry, and not liking the taste of the healthier food. 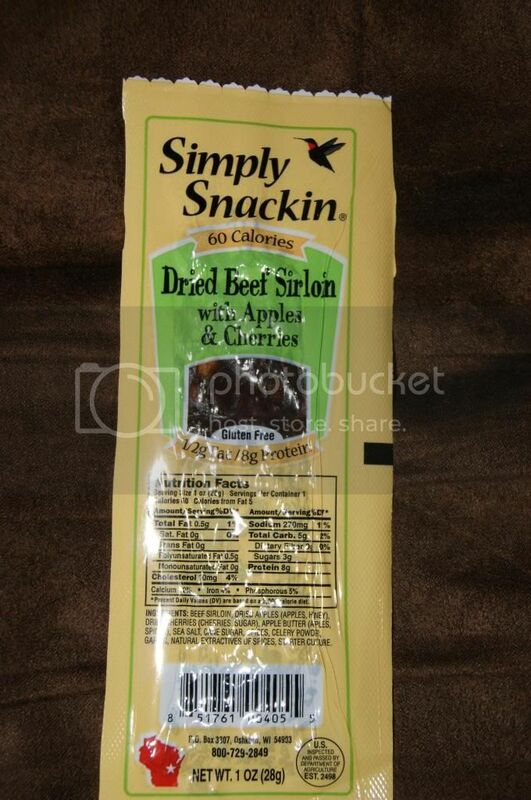 With Simply Snackin' I am able to conquer both obstacles with ease. 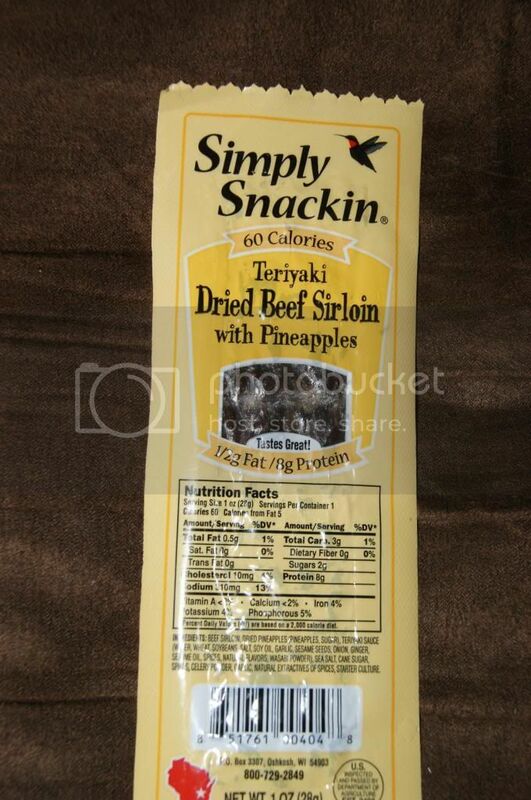 Simply Snackin' is a Savory, High Protein Jerky Snack. It is VERY low in fat and calories. With under 1g of fat and 60 calories each, they are a guilt free way to not only satisfy your hunger, but also your taste buds. They are so amazingly flavorful. Not only are they bold and savory, but they are also very unique. 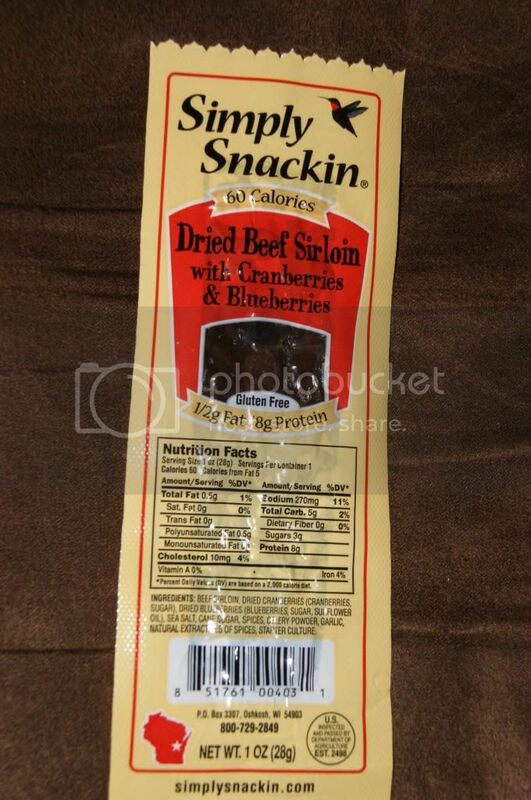 They taste better than any jerky I have tried, and yet they are much healthier too. Better still, the texture is perfection. They have the slighty chewy bite that you crave, but they are not hard or dry. They are moist and soft. Easy to chew. That is great for me because my teeth are not that great and other jerky can be inedible to me sometimes. 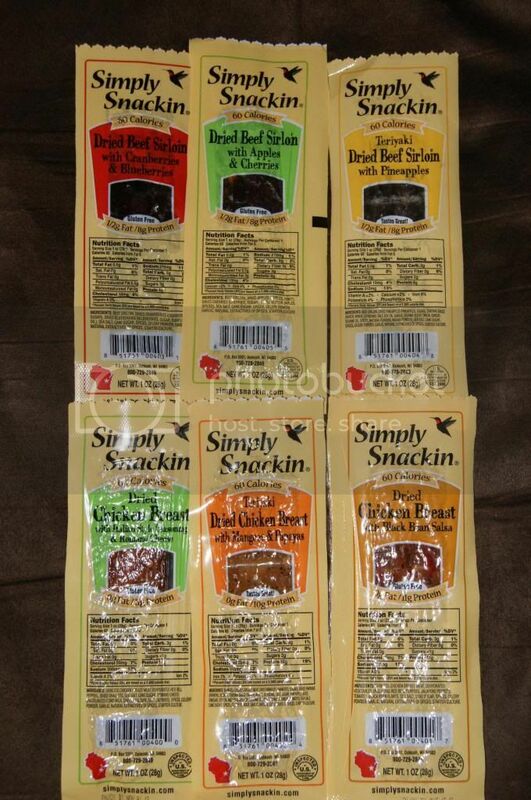 Not only does Simply Snackin' come in both Chicken and Beef varieties, but each comes in 3 different flavors, for a total of 6 unique tastes that are all delicious. This flavor is awesome. This is bod with just the right kick of spice. With black bean flakes, Garlic, peppers, spices and more, this jerky is really something special. So much more flavor than most jerky and so much less guilt. I love it. This one is so good. I love Romano cheese, and this is mild yet very flavorful. I really tastes real. It is soft and easy to chew(as they all are) and is sure to satisfy any savory(meaty, cheesy) craving. This is a winner. If you have never tried a flavor like this, I bet your are thinking that it's strange. I was very curious to how these flavors would match up as well, but it is so delicious. It is interesting and unique, and it is still very savory. The fruit(I think) makes this variety even more moist than the others. It has the slight sweetness to make this flavor mild, but it does not taste like fruit. It is incredible. I really cannot find the words to describe this complex flavor, but it's delicious. This one is SO incredible. The fruit is moist and flavorful. It adds extra dimension to the flavor, but this is not overly sweet or fruity tasting. It is such an original taste. I cannot say enough good about it. Blueberries and beef go really well together, but I never thought of cranberries. The combination is mind blowing, especially since it is still so savory. When I am craving meat, I want to taste meat, and I love that even with the added fruit adding to the depth of flavor, it is still meaty and satisfying. This has a wonderful Teriyaki flavor. The pineapple goes perfectly to accent the savory Teriyaki seasoning. I love the slight sweetness of this jerky and the rich, meaty flavor and how the compliment eat other. This is so unique and I can't get enough. Every flavor of Simply Snackin' is incredible. They are all so distinctive. I have never tasted anything that comes close to these. I love the tender, moist, meaty texture. The 1oz serving is very satisfying. The high protein content makes them very filling. This is about the same about of protein as many protein bars and shakes with WAY less calories and fat and so much more flavor. The convenient single serving packaging makes these stay fresh and make them great for on the go snacking. Perfect for adding to lunches or keeping in your purse(backpack, glove box etc) so you have it on hand when a hunger attack onsets. The single serve packaging also makes portion control so simple. You don't have to weigh or count pieces and it makes over indulging much less likely. I am the kind what will, "have a little more" when eating from a multi-serving package, but knowing I would have to open a whole other serving would be a deterrent from doing so. Although one serving really is quite enough to satisfy, the taste is so good that you probably will want more than one. Even the 120 calories you would get from 2(2 ounces total) is lower than most 1oz snack servings. 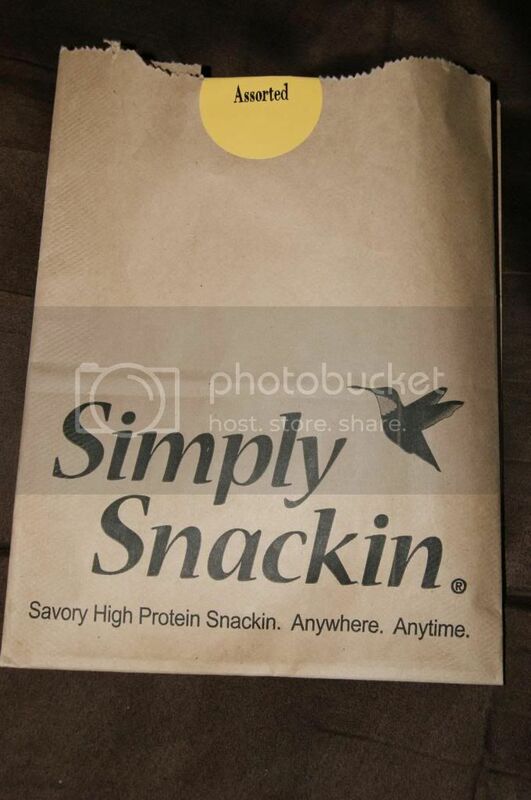 Plus, They Simply Snackin' uses NO Artificial Ingredients, Fillers or MSG(added). And almost all varieties are Lactose Free(except Chicken Romano Cheese & Herb) and Gluten Free(Except Teriyaki varieties). 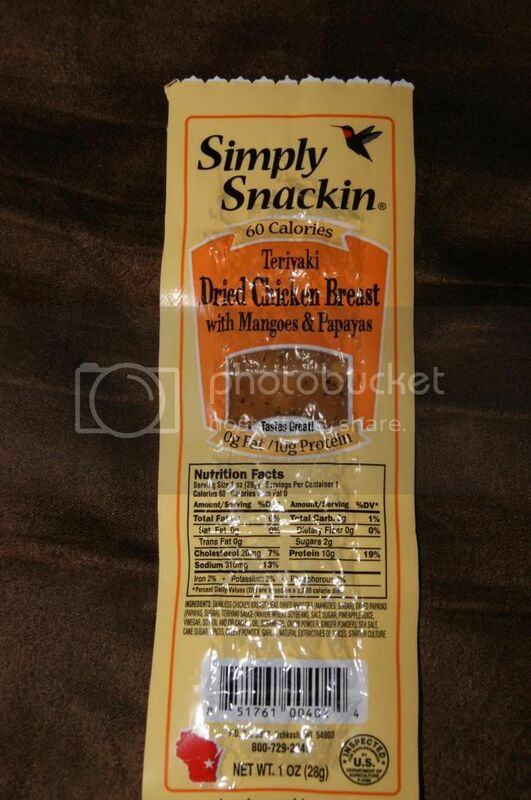 I love that not only do you get the flavorful, filling, guilt free great taste and high protein, but you also get other important nutrients from the fruits and vegetables that you don't get from other meat snacks. So it really gives your body the good stuff it needs to power through your demanding life. This is like a super snack. I think everyone should try it. Your body will thank you with a shrinking waistline and increased energy and health. This stuff is amazing. I can't get enough. I'm trying to lost weight, too. And you're right, so many of the lower fat/calorie snack options just don't taste good. I have seen these but was afraid to try them because I thought they would be gross. 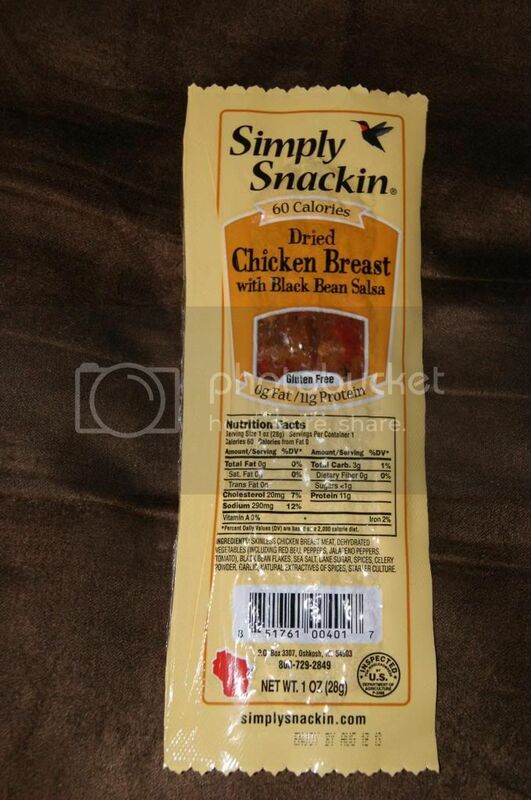 It's really hard to find high protein snacks though that aren't loaded with fat or calories. Can't wait to try these now that I know they don't taste horrible! I love jerky, my dad used to make it and I would eat everything that he produced (so much for selling it in his store, lol.). Thank you for sharing this i will check it out. I love jerky just about any kind, but I prefer beef! My husband buys it at least every other day. I love beef jerky we purchase some when we went to Temecula CA at the House of Jerky. I dont know if we have those here, but it looks pretty good.. I haven't heard of this brand before but I am going to find it. I would love to try it-the beef flavors with the fruit sound super tasty. I would certainly give this a try, looks healthy too. you should try it! Its my favorite! 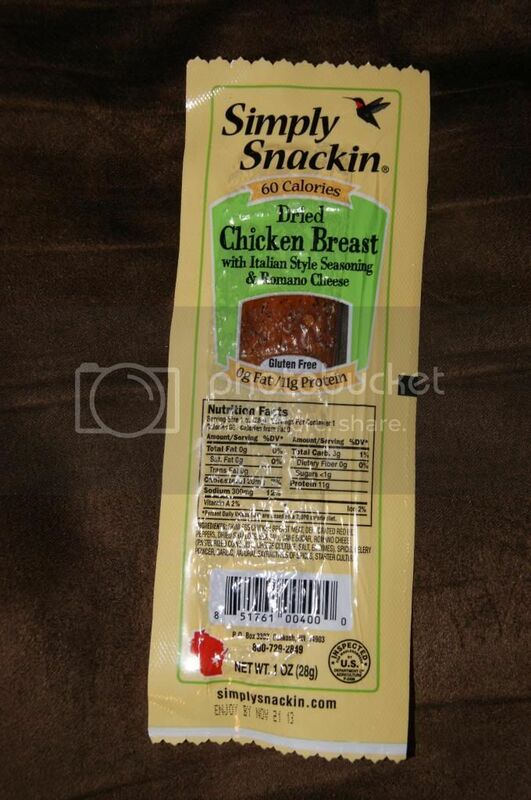 The easiest way to find these is online at www.simplysnackin.com unless you live in Wisconsin, then most of the Woodman's Stores are carrying them.